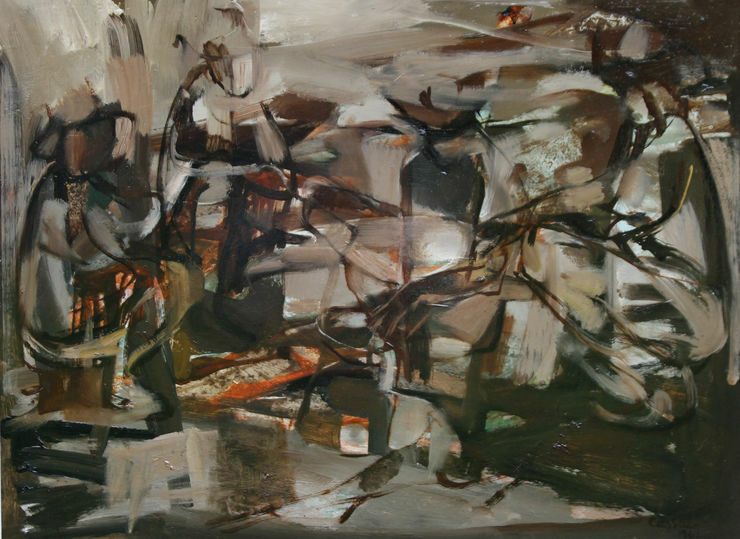 An original oil on panel by the famous listed Australian artist Judy Cassab. This stunning abstract expressionist oil is a bold, adventurous and confident abstract expressionist landscape and is signed and dated 1961. It is titled Campfire and has beautiful subtle blues and browns and depicts the wild arid Australian landscape outback and figures sitting around a campfire. A very colourful and vibrant painting. 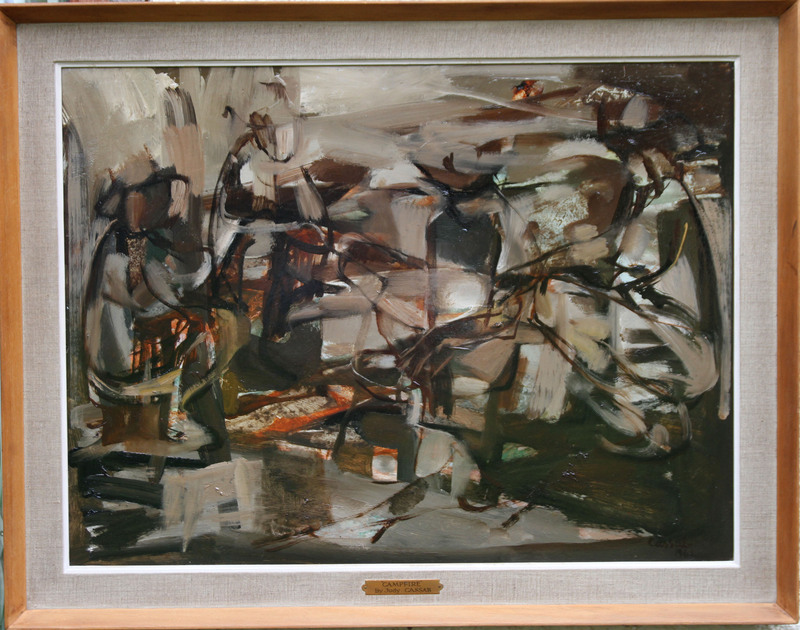 Housed in an original gallery frame 36 inches by 30 inches. Excellent condition.